There are two video streams that came out on the same day yesterday, both on the topic of “Securing Cyberspace.” The first is a trailer that was put together (thanks to Eric Petecelli and team) on our “Securing the Cyber Commons: A global dialogue” event that took place over two days in March 2011. This video presents highlights of the two day event. A full video of the opening plenary and panel will be made available soon. I recommend it be watched in full screen mode to fully appreciate the high definition. The second video comes from an episode of TVO’s the Agenda, on the topic of Securing Cyberspace. Apart from myself, panelists include Christopher Soghoian, Allan Paller, and Sukanya Pillay. You can watch the entire very interesting 60 minute discussion here. The Information Warfare Monitor just released a new blog report, “Syrian Electronic Army: Disruptive Attacks and Hyped Targets.” The report analyzes the ongoing computer network exploitation activities of the Syrian Electronic Army (SEA). The report is a follow on to a prior report released last month: The Emergence of Open and Organized Pro-Government Cyber Attacks in the Middle East: The Case of the Syrian Electronic Army (http://www.infowar-monitor.net/2011/05/7349/) In that prior report, the Information Warfare Monitor’s Helmi Noman started documenting the activities of the Syrian Electronic Army (SEA), which appears to be a case of an open and organized pro-government computer attack group that is actively targeting political opposition and Western websites. That report documented how Syria has become the first Arab country to have a public Internet Army hosted on its national networks to openly launch cyber attacks on its enemies. In our new report, the Information Warfare Monitor continues to examine the Army’s activities, their online targets, and the impact of their attacks. I was a guest of Rick MacInnes-Rae’s CBC Dispatches. We discussed the Information Warfare Monitor‘s report on the Syrian Electronic Army by Citizen Lab senior fellow Helmi Noman, and the larger context of cyberspace controls and contests. You can listen to the show here. I was asked to contribute a piece to the launch of Huffington Post Canada. My article addresses questions of cyber security that have been raised by President Sarkozy at the e-G8, and in particular what Canada could contribute in this area. The editors placed my article on the home page for a few hours, with the title “CYBER FAIL” in Pearl Harbor style giant font, above a picture of a forlorn looking Prime Minister Harper. Not sure it’s the best way to get my points across to the Canadian government, but it was amusing to see for a while. Here is a link to the article as it appears in the Huffington Post, and below I paste it in full. 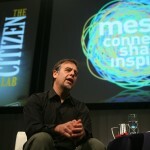 I delivered a keynote presentation to the Mesh 2011 conference. Here is a pic of the event. The Financial Post’s Matt Hartley provided a good summary of my talk here. As the world’s largest economies, western liberal-democratic countries have a critical strategic interest in sustaining cyberspace as an open and secure commons of information constituted around freedom of speech and access to information. They also stand to lose the most should it spiral into a hotly contested zone of crime, espionage, and warfare. What should be done? This article originally appeared in The 2011 G8 Deauville Summit: New World, New Ideas published by the G20 Research Group. The Citizen Lab is the recipient of this year’s press freedom award of the Canadian Committee for World Press Freedom (CCWPF), The 13th annual Press Freedom Award goes to a Canadian person or group who has defended or advanced the cause of freedom of expression. The Citizen Lab team, based at the Munk Centre for International Studies at the University of Toronto, was selected for its ongoing dedication to free expression online through work that exposes cases of Internet censorship and espionage around the world. In this feature of the New York Times Room for Debate, I give my take on the recent Wikileaks controversy. Also featured, Evgeny Morozov, Ross Anderson, James Bamford, and C. Fred Alford. The Citizen Lab is proud and humbled by the announcement that we are the recipient of the Canadian Journalists for Free Expression (CJFE) 2010 Vox Libera Award. 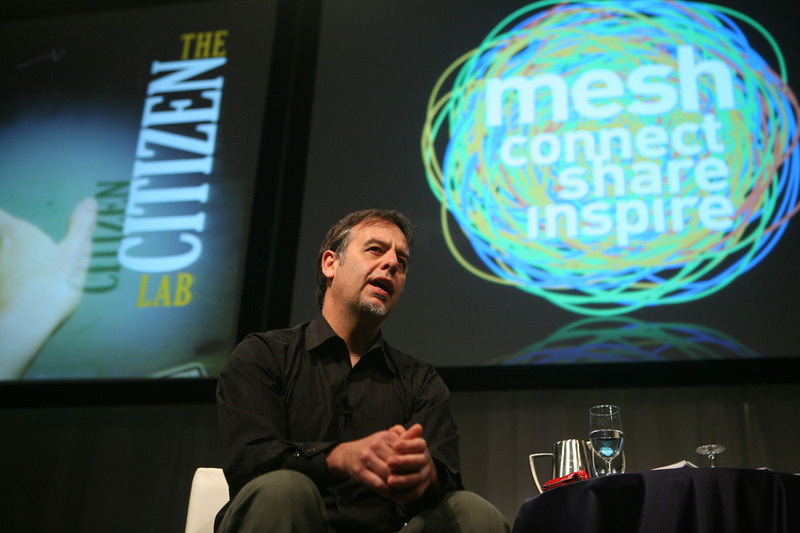 The announcement stated “The Citizen Lab was selected for its dedication to free expression and access to information online. World leaders in the field of “hacktivism,” the Citizen Lab’s members focus their research on documenting cases of internet espionage and censorship around the world, reinforcing the idea that the Internet should remain a safe, public domain”.